The latest video production blog from the new James Bond film 'SPECTRE', released to promote the news of the Blu-Ray and DVD pre-order, spends some time in Q's workshop and highlights gadgets and vehicles designed simply for set dressing, but could be centre stage in any Bond film. 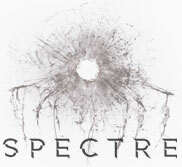 'SPECTRE' will be available to own on Digital HD on 19th February and on Blu-ray & DVD on 22nd February. Click here for pre-order links.